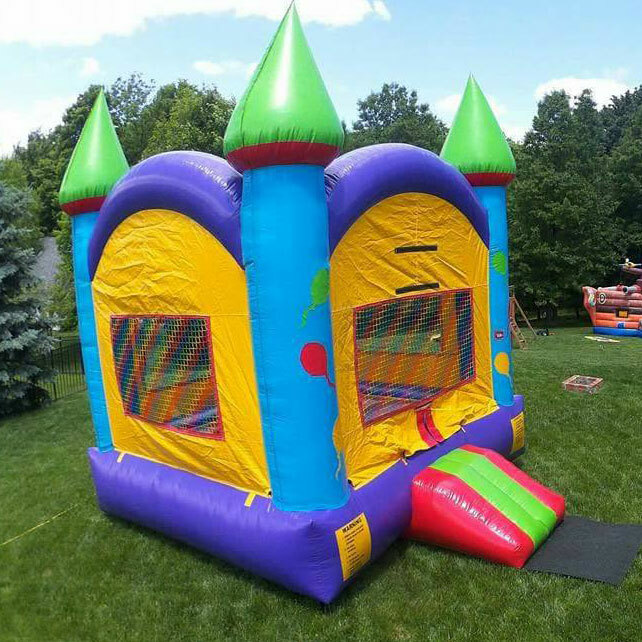 Your guests will feel like royalty in this castle bounce house. Our colorful castle has a ramp for easy access and can accommodate up to 10 jumpers at a time. Protective mesh keeps guests safe while allowing a clear view of the action.